An additional independent staff rostering solution. Roster full shifts irrespective of supports allocation. Can be used separately or in conjunction with other modules to provide a comprehensive Services, Staff and Client Management solution. The CARETAG Rostering Module is an additional independent staff rostering solution that can be used for both skilled and ADE staff to roster full shifts irrespective of supports allocation. 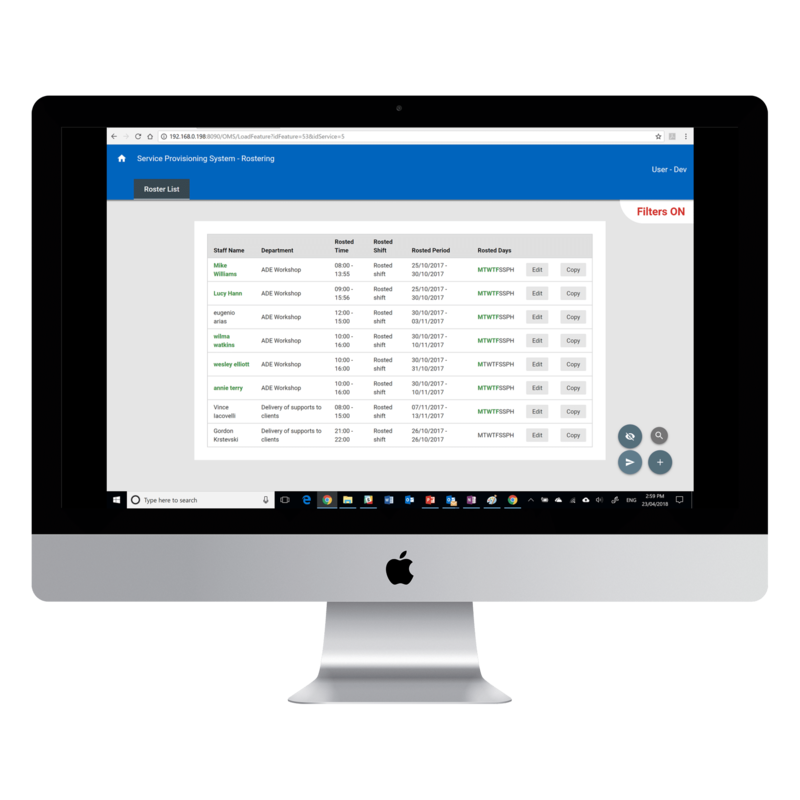 This module can be used separately or in conjunction with the CARETAG Combined Service Scheduling and Rostering Calendar module to provide a comprehensive Services, Staff and Client Management solution.